CWT48 - XXXBlack Roase Ale Glass in Gifts is made for Women and Men and comes in Pewter and is made of Glass Pewter material. It is marked as Glassware and weighs about 1.00 lb. 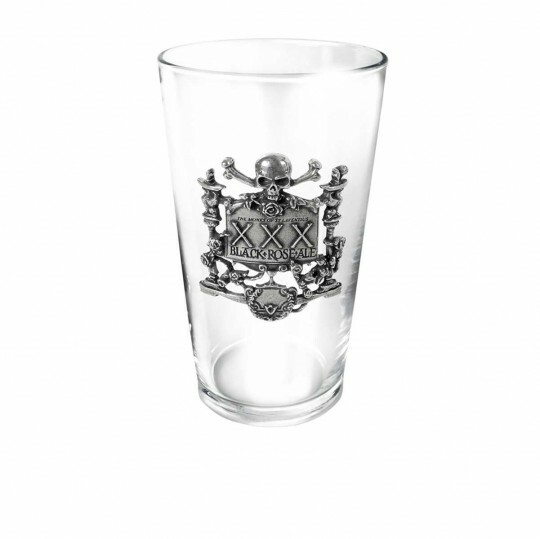 An imperial pint straight glass, badged in glorious dignity with a cast pewter skull n bones label, befitting all serious ale-aficionados. Approx. 150mm high.